The SF700 was the middle range model, featuring many similar features and specifications to the SF1000 but holding back in certain areas that increased the price. Unfortunately a lot of these features are what makes the SF1000 such a versatile and favourable guitar, so the SF700 didn’t seem to get as much attention as it’s bigger brother. As a cheaper alternative however, this definitely has a classier feel than the SF500 although sharing some of its specification. The body is made of a combination of maple and alder, being almost half-and-half with the maple forming the top of the body. The maple neck features a rosewood fretboard similar to the SF500, but has a slighter thinner profile similar to a ’60s profile. The fret markers are called “split pearl”, rather than the SF500’s dot markers. The body woods selected for this model are maybe the most obvious step-up from the SF500, alongside the set-neck construction allowing for more sustain and resonance. The pickups are the same F-IIs that we’re familiar with from the SF500, however the maple and alder body brings out a much brighter sound as is boasted about in the catalogue. Its not quite up to the standard of the SF1000 and is still missing the utilisation of the “bi-sound” feature, but it’s a definite improvement on the SF5000. The SF700 was produced in two colours, a sunburst (sometimes described as tri-tone) and persimmon red. Although they are both relatively common, the persimmon red version has been sold with much greater frequency since 2010, maybe thanks to higher sales due to the aesthetic appeal similar to the Gibson SG but with many preferable features. 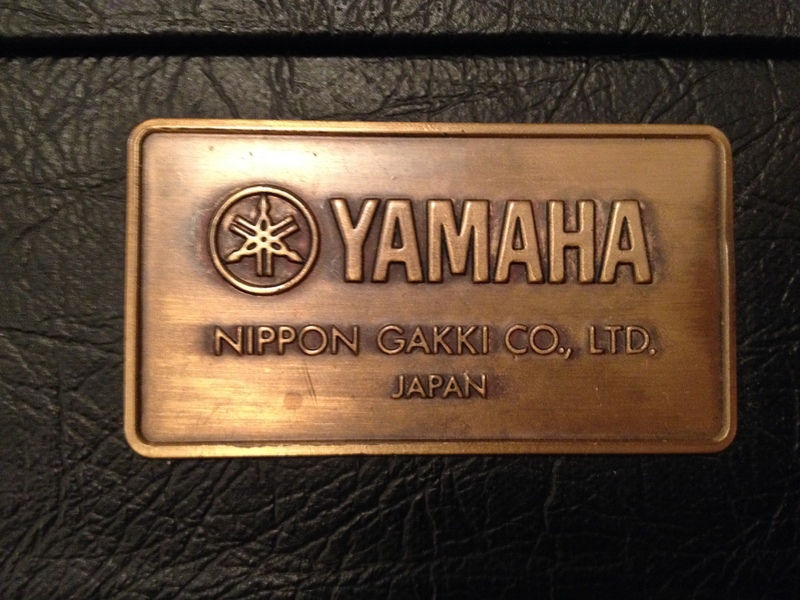 Something that collectors should be aware of, is the addition of a coil-tap switch. The pickups are fitted with the appropriate contacts to wire a coil-tap or “bi-sound system”, however they aren’t wired to utilise this as stock. Although a way to utilise this while maintaining the “original” condition of the guitar would be to add a push-pull pot, many people have made the after-market modification by installing a separate which altogether. To a collector, a hole drilled through the body of a rare guitar would greatly reduce the value. 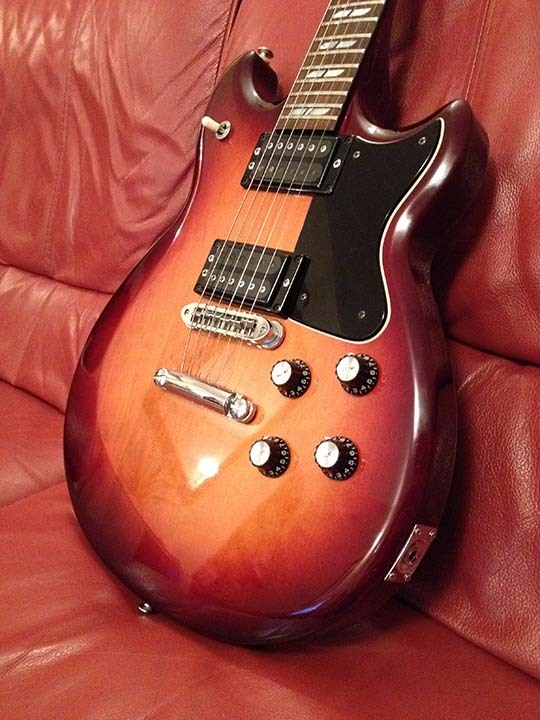 A fantastic guitar for anyone willing to spend the extra money for all-round better specification than the SF500. Many would say however, that it would be worth spending the extra required to gain the desirable features of the SF1000. 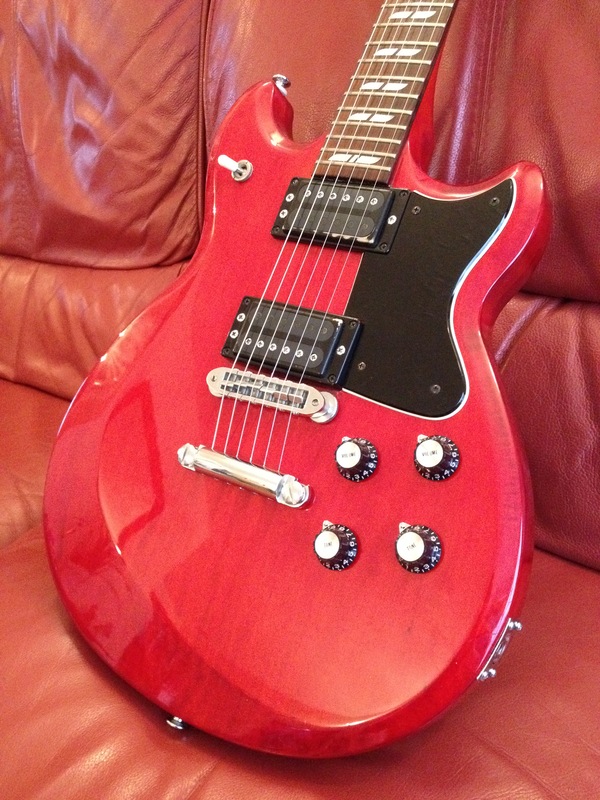 Regardless, this model is a spectacular guitar for brilliant value.